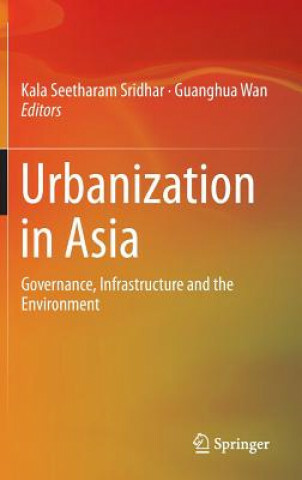 This work focuses on urban governance in the developing world, its aim being to bring a holistic perspective to the debate on urban governance in Asia and around the globe. It has been divided into three sections: The first section is on rural interventions as they influence urbanization and its problems/solutions. The second focuses on urban governance, infrastructure programs, service delivery reforms and their evaluation. The third and final section focuses on urbanization and the environment. In the first section, we present evaluations of India s rural programs including the Mahatma Gandhi National Rural Employment Guarantee Act (MGNREGA), and of India s Total Sanitation Campaign. This section covers the transition from rural to urban areas, and highlights coping mechanisms in urban areas and policy implications for urban governance, from the viewpoint of rural migrants. The section on urban governance, infrastructure and service delivery is the most in-depth and consists of papers that present state-of-the-art research on many aspects of infrastructure such as cost and time overruns, risks and their mitigation, assessments of the metro rail, and services such as solid waste management. The focus of the final section is on urbanization and the environment. Here we examine land use change in India, the relationship between urban form and residential energy use in Bandung, Indonesia, and end by depicting a cautiously optimistic view of Asia s urbanization-environment nexus.